Freddie Mac is on Top of Every Natural Disaster - Are You? Freddie Mac responded similarly over the summer months to the California wildfires, alerting servicers and homeowners that even in “areas where FEMA [had] not yet made individual assistance available, mortgage servicers may leverage Freddie Mac’s forbearance programs to provide immediate mortgage relief to their borrowers that have been affected.” With Freddie Mac on top of every emerging natural disaster, servicers should have a firm grasp of the ins and outs of the extensive range of disaster relief options, and be prepared to respond to borrower questions. “We require Freddie Mac Sellers and Servicers to be responsive to any requests for assistance from affected borrowers using options available through our Single-Family Seller/Servicer Guide and/or Guide Bulletins with temporary requirement changes tailored to address recent disasters,” says Freddie Mac. The Disaster Relief Reference Guide, which offers just a summary of the relief options available to servicers, is a full 24-pages long and contains updated content from as recently as April of this year. Freddie Mac’s waterfall of disaster relief and assistance offers more than half a dozen workout possibilities. Options available to affected borrowers include short-term forbearance, long-term forbearance, the Disaster Relief Modification, the Freddie Mac Flex Modification, the Standard Short Sale and the Standard Deed-in-Lieu of Foreclosure. Additionally, the Seller/Servicer Guide prescribes unique eligibility criteria, timelines and formulas for calculating modified loan terms, rates and modified indebtedness. 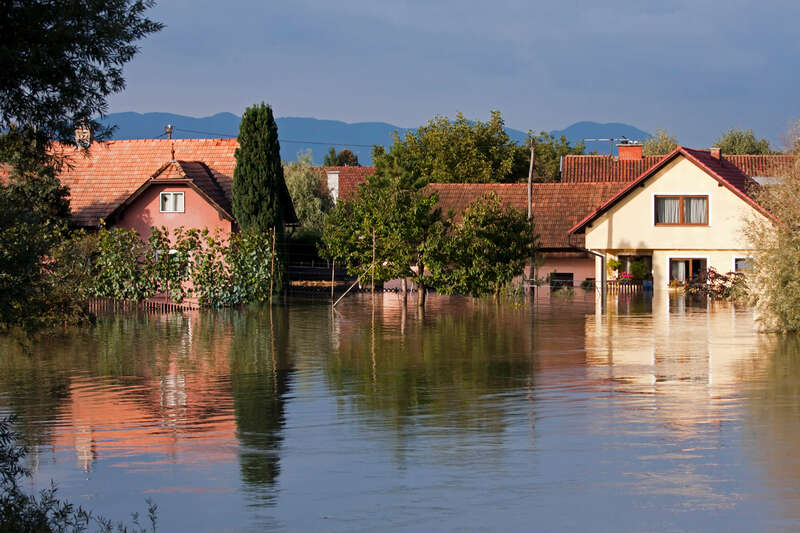 The Disaster Relief Reference Guide offers several sample calculations for some of the more complex requirements; however, servicers are responsible for mastering the details of every available relief option. For example, Freddie Mac has laid out multi-level workflows for when servicers can or cannot establish right party contact. There are also specific steps to calculate the effective date and due date of trial periods, to determine final modifications terms, and numerous other aspects of the relief workout process. Meeting the challenge of offering and applying extensive requirements for disaster relief can be simplified with CLARIFIRE®, who is experienced in providing proven workflow, rules and calculations. With Freddie Mac directing borrowers to reach out to servicers at the onset of natural disasters, the onus is on mortgage servicers to be ready to hit the ground running. Needless to say, it can be challenging to oversee property damage, monitor insurance repairs, and manage each borrower’s individual situation and qualifications, especially in a multi-track environment that is brought on by unforeseen disaster. Guaranteeing adherence to investor requirements, as well as ensuring a customer-centric experience, adds a layer of complexity that may exceed resource availability in time of disaster. 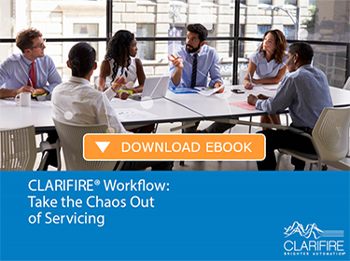 Servicing teams can meet this challenge with the CLARIFIRE® workflow platform, which fully automates complex workout rules for varying activities, timelines and outcomes. The entire borrower experience can also be elevated with CLARIFIRE CONTACT®, an innovative customer contact management system, and/or CLARIFIRE COMMUNITY®, a secure gateway that dynamically coordinates industry third party, homeowner and investor activities. Make certain your team is ready to address this hurricane season with CLARIFIRE. Gain improvements in cost containment and change management, while ensuring timely compliance with evolving disaster relief requirements. Providing an innovative industry workflow solution coupled with a robust workout rules engine, CLARIFIRE is uniquely capable of automating disaster modification qualification, eligibility and exception determination. Find out how your organization can readily respond to today’s disaster recovery environment by visiting eClarifire.com, or contact us directly at 866.222.3370. Let us show you how to future-proof your organization with CLARIFIRE.